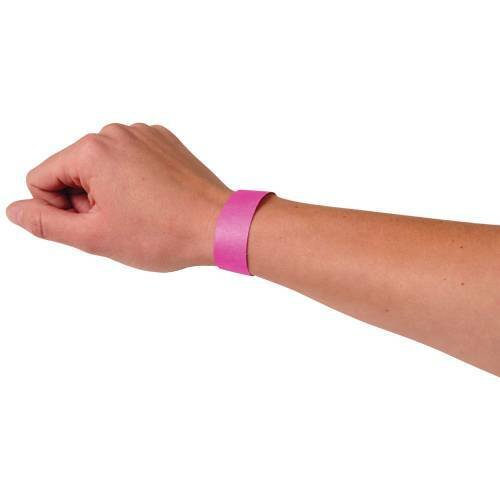 Keep your gate admissions organized with these neon purple event wristbands. 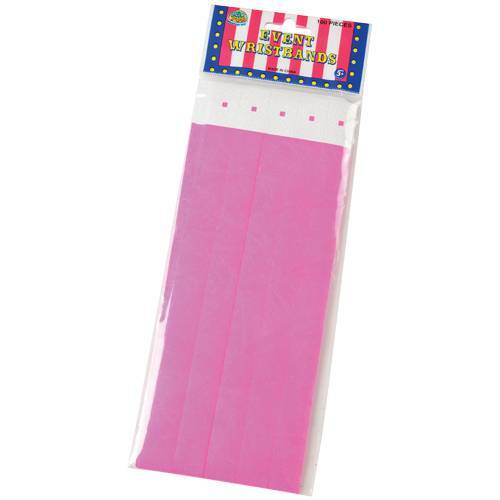 Perfect for carnivals, sporting events, schools and more, each wristband is waterproof and tear-resistant. 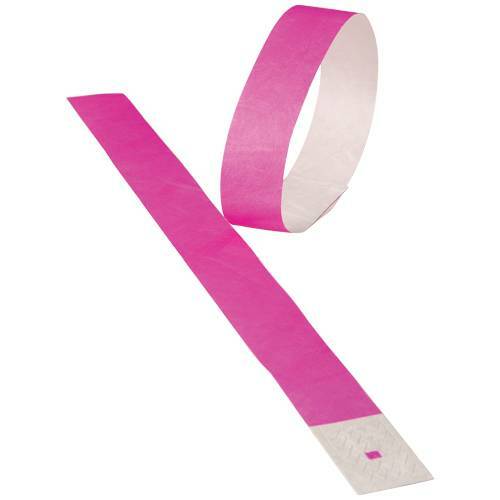 Simply peel off the adhesive protector on the end, wrap around wrist and stick to the other side. If a person attempts to remove the wristband, the scored material on the end will rip, making it very difficult to transfer the wristband.